The Victorian Construction team provide air quality testing, duct cleaning, carbon filter testing and replacements, project works and equipment upgrades to Melbourne Airport. For over ten years, the team has carried out construction work at the Airport, with the maintenance of the HVAC commencing in mid-2013. Early this year, AE Smith assisted in completing construction of the new T2 Bussing Airline Lounge Transit Expansion (BALTE) project. In November, the team reached practical completion for the construction of the new Terminal 4, installing an extensive Mechanical Services package. The team contributes greatly to servicing the Airport, having reduced the smell of aircraft exhaust fumes inside the terminal, by using carbon filters on intake ducts. Acoustic attenuators to reduce ventilation system and aircraft noise levels. The Terminal 4 construction project saw up to 40 AE Smith employees onsite at one time while also subcontracting electrical, insulation, refrigeration contractors over the course of the project. With four full-time permanent technicians onsite, the team ranged from refrigeration mechanics, plumbers, fitters, and turners. 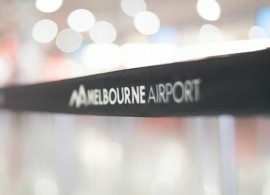 With Spotless’ broad service offering, AE Smith benefits from the partnership it shares with Spotless at Melbourne Airport, working alongside Alliance and TechGuard Security who provide their own services at the Airport. During construction, all work installed was in accordance with site specific Safe Work Method Statements (SWMS) and permanent access platforms that had been provided for maintenance of roof mounted air handling units. AE Smith follows Melbourne Airport’s safety and quality management systems to ensure the safety of staff, client and patrons.